Very few save and checkpoints. Horror genre fans: lock your doors, bolt your windows, and leave the lights on as you enter the disturbing atmosphere of Rule of Rose. Horror games have become somewhat of a stable in the gaming industry, with the booming success of the Silent Hill franchise, the resurrection of the acclaimed Resident Evil series, and the success of some lesser known gems like Fatal Frame. 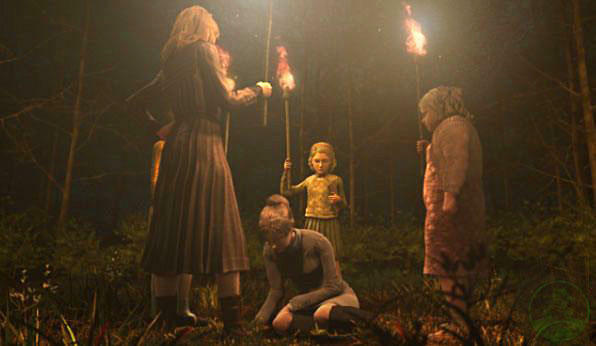 With many similarities among these games, Rule of Rose enters with a very disturbing story, odd characters, and extremely slow moving gameplay. 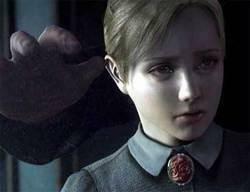 Think you can lead Jennifer, our main character, through Rule of Rose? You'll need a lot of coffee and a lot of patience. Oh, and leaving the lights on wouldn't hurt either. 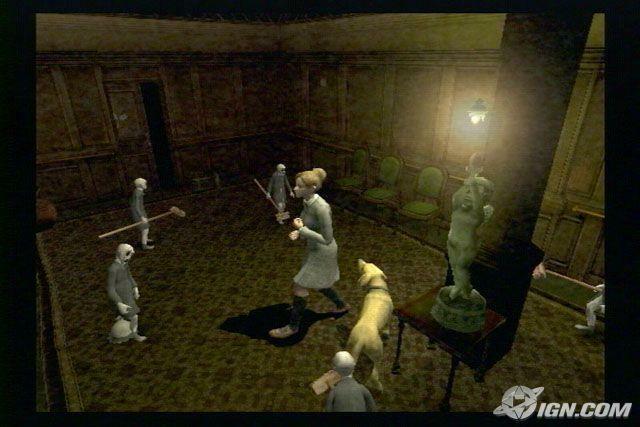 Rule of Rose takes place in the 1930's, and the interesting storyline is one of the main reasons for playing this game until the end. 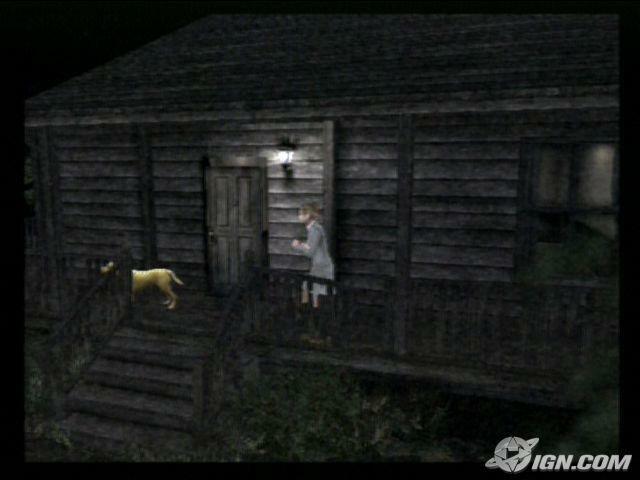 Without too much of an intro, Jennifer begins the game on a bus and follows a young boy down a long, dark trail, eventually leading to an abandoned orphanage. Here you encounter children with paper bags on their heads, wandering around the grounds, hitting things with sticks in the night, giggling and laughing as you walk past. As you begin to investigate the orphanage, you will come across more frightening characters, awaken in new atmospheres, meet strange groups and unfold events that seem to all be tied to Jennifer's past. The story plays like chapters in a book, and despite this implied chronological order, things appear to happen out of order and only get stranger as the story rolls on. As can be expected in horror genre games, combat is fairly limited, as our main character isn't exactly Rambo. There are a few "boss" battles, where combat is necessary, but for the most part enemies can be avoided if you choose to do so. Eventually you will come to find a partner, a friendly dog named Brown, who you rescue early in the game. Brown definitely makes combat easier, since he is successful at distracting many of the enemies you encounter. Combat is tough though, as Jennifer's weak swings are tough to land and appear to do little damage. There is also no indication of how much damage you are receiving, which will lead you to believe you are closer to death than you actually are. For this reason, It is important to stock up on health items, as a game over screen could frustrate you beyond belief. There are few checkpoints in Rule of Rose, and I would strongly suggest saving at every chance you get. Otherwise, you'll be exploring the same hallways over and over and over again. The game focuses mainly around puzzle solving and item collecting in order to progress, and once again, Brown makes some of these things easier, like sniffing out certain key items you will need for later in the game. This seemed very similar to the idea behind Silent Hill, which is what made Rule of Rose so attractive to me. Despite the game containing very little voice acting, the choices made for the specific characters work very well. The music stays true to the time period, containing old string-type music that suits the atmosphere perfectly. The addition of giggling children, gasps, and laughs as you explore corridors and dark hallways only adds to the element of fear that this game captures so well. Rose has a very brooding, grainy special effect style that successfully emphasizes the extremely creepy design. The character design is done very well, and having a "normal" character like Jennifer creates a very well done contrast to the other...well..."interesting" people you'll meet. You'll encounter enemies that have fish for heads and who flop around on the floor in pursuit of Jennifer, and enemies with goat and pig faces drawn on paper bags. Oh yeah, and these friendly citizens are all children. Another part where Rule of Rose shines is the amazingly well done cinematic cutscenes. They inject an extra sense of fear into the story, and since they are very well done, I got excited every time the screen faded to black, since they were a nice change of pace from the, occasionally sleep-inducing gameplay. Despite the number of other worthwhile horror games on the market, Rule of Rose captures the atmosphere better than any other game before now. Where it sinks in gameplay, it more than makes up for its shortcomings in sheer graphical and sound brilliance. The bottom line is that if you can enjoy a horror game just for its story, this is one that shouldn't be missed. You can expect about 15-25 hours of gameplay, and despite the story jumping around and leading you in odd directions, it works like a train wreck--despite your best efforts, you just can't turn away. It's just a shame that the poor gameplay execution gets in the way of a very interesting storyline. On a sidenote, this game is from the very popular publisher Atlus, which means this game could very well enter the acclaimed "rare" status one day, and you may have to do battle with ebayers to get your hands on a copy. Will we see more similar games from them? I would hope so, but improvement is necessary for the next game to be a success.